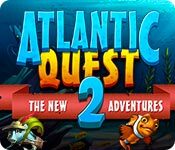 Atlantic Quest 2: The New Adventures is rated 4.0 out of 5 by 21. Rated 5 out of 5 by denniann2 from good for kids and adults a typical M3 that has you helping the aquatic creatures through different missions. 98? levels. you have power ups that charge as you drop different colored marbles to the bottom of the board. you gain power ups the longer you play. they do come in handy sometimes. i used them from time to time. 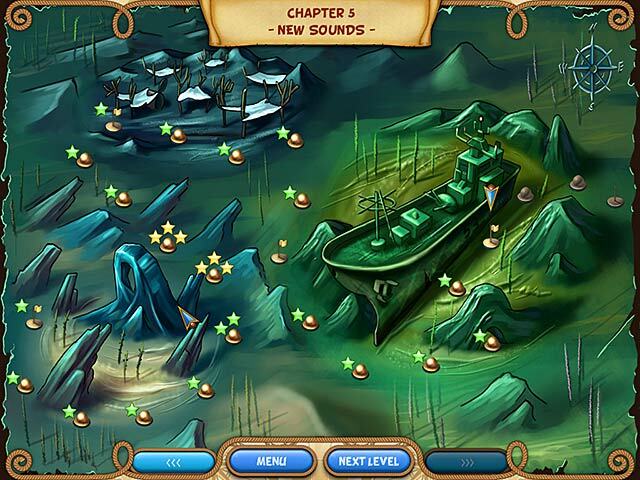 there are a few hidden object scenes but nothing really too hidden to find. the interaction between the aquatic creatures were funny!!! Rated 5 out of 5 by nelliebj from Yay! Another Atlantic Quest Like the first, an amazing M3 game with lots of challenge and frustrations. Loved it on trial and immediately purchased. Excellent!! 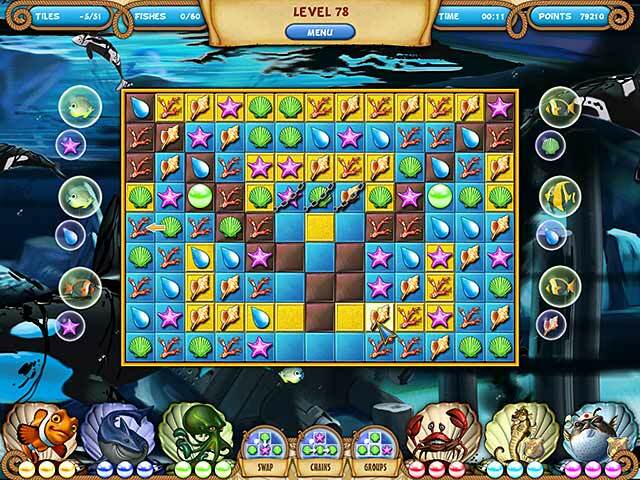 Rated 5 out of 5 by BlackWaterRules from Super Fun Match 3 This game is all about having fun. There are 3 modes: groups, chains, and swap, all fun. The soundtrack is phenomenal, very well done. The characters are cute, the background story puts them on a mission. It's just a fun game. If you like M3s you will love this one. Rated 5 out of 5 by grandmagin from Fun & Relaxing Really enjoying the game. Music's not bad the fish are funny. You have challenges, some HO's and the scenery is awesome. Kids would enjoy this game very much. If you want to just pass the time and have fun this game is for you. No time limit. Rated 5 out of 5 by pennmom36 from Unexpected Challenge! Excellent Match three game with an unexpected challenge. I really thought it would be super easy and designed for small children. The levels progress nicely, and you can choose between classic match 3 swaps, click and drag a chain of tiles or click on groups of tiles. 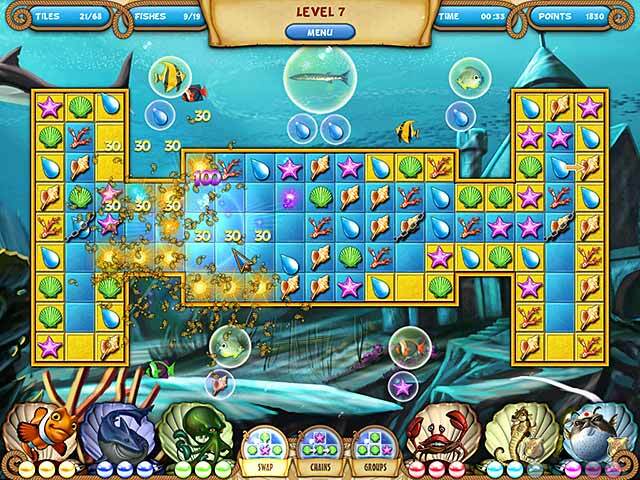 There are mini games in between such as finding hidden fragments of a key. The tiles are colorful and bright, nautical themed such as shells, corals, pearls and sea horses. The main goal is to make matches that will turn all the background tiles from yellow to blue, but there are the usual blocked tiles with chains etc. I really liked the patterns used with alcoves to make it a bit of a challenge, and you earn achievements as well as 1-3 gold stars, depending on you overall time to finish that level. This game is going to hook you right away and is definitely worth several hours if not days of fun, enjoy! Rated 4 out of 5 by emollie26 from Really good, cute game, but...... Fun game. Graphics are crisp, and clear. Vibrant colours. I played in relaxed. Tiles move instantly. No pause, or jerks with them. I chose to play in swap mode - also group and chain available - and couldn't figure out why game kept 'freezing.' It wasn't. Game was changing modes randomly. Not a purchase for me, because of that. It's a shame, as everything else was spot on.Still recommend it though.